Repetitive and electronic cross-over sounds in the Avantgardistic State. 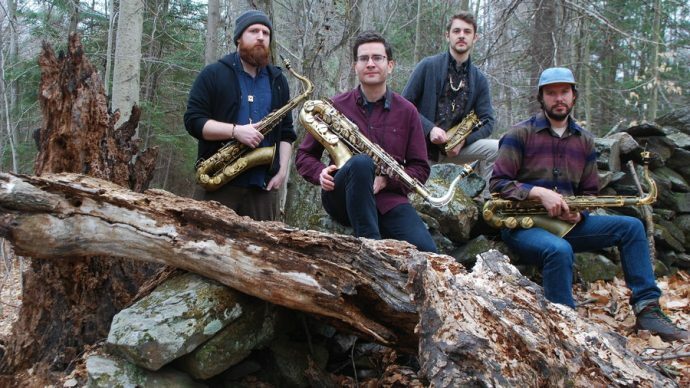 Battle Trance is four saxophonists squeezing the most intense-sounding music they can out of their instruments. The group aims to “release something in both the listener and the performer´s hearts, using the saxophone as a vessel for the human spirit”. This isn’t a gimmicky sax player doing a funny dance, but a consciously composed ensemble. Their latest album (‘Blade of Love’) was recorded after two years of rehearsal and fine tuning in the forests of Vermont in a wooden cabin. 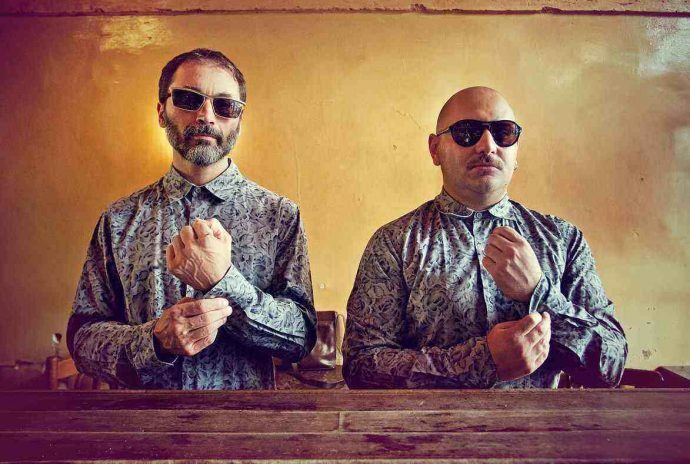 Raed Yassin and Paed Conca are Praed, and they explore the connections between Shaabi (Arabic pop) and other psychedelic and hypnotic musical genres. 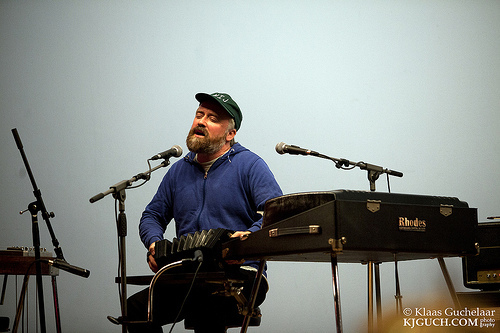 Praed plays a mixture of Shaabi, free jazz and electronic music. Praed’s musical explorations uncovered a strong cultural connection between Shaabi sounds and the Mouled music (played during religious trance ceremonies). They have incorporated the hypnotising effect of Mouled in their music. Seamus Cater mixes research-based song writing and contemporary acoustic music to create a refined mix of English folk, jazz and avant-garde sounds. His music draws on the delivery and instrumentation of British revivalist folk music but filters this through minimal, or repetitive playing techniques.